After the death of their father, Richard Oliver Gascoigne, the two heiresses although bereft from the loss in the space of less than a year of he and their two brothers, took to their new found inheritance with some gusto. They were very rich, from the family owned collieries in Garforth, as well as the more usual income that the landed gentry realised from the estate rents and agricultural operations. Isabella and Elizabeth were born in 1810 and 1812 respectively, their lives followed a pattern; born two years apart [1810 & 1812]; married two years apart [1850 & 1852]; died two years aprt [1891 & 1893]. Little is known of their early lives, their education is not referenced anywhere, but some of their interests are, these included some craft based hobbies, in the form of stained glass design and production. The art of turning decorative objects on a lathe, a particular interest of Isabella, to such an extent that she authored a book on the subject, styled as written by a man, to overcome the prejudices of the age. It is believed that at least one of the sister's played the harp and they both would have been competent pianists. A recently discovered painting, featured on the next page, shows the family in 1852 in the Drawing Room of the Hall, Isabella is seated at the pianoforte and there is a harp in the room. 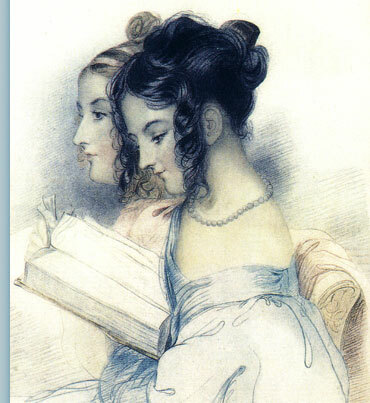 The two girls may have anticipated their roles in life would be as supportive wives, with their brothers taking the leading roles in the family, even so they showed no signs of interest in marriage in their early years, indeed it was some seven years after the death of their father that firstly Isabella married in 1850 and two years later Elizabeth also. There was a harmony of coincidences about the lives of the two sisters, they were born two years apart, married two years apart and died, again two years apart. In every instance Isabella being the first, also they both married into the Trench family, Isabella marrying Frederick Charles Trench of Dublin and Elizabeth marrying his cousin Baron Ashtown. The header picture is a portrait of the sisters, Isabella and Elizabeth, Isabella elder by some two years is on the left, it is an antique engraving drawn J Hayter and engraved by J Thomson and probably the forerunner to the crayon version shown below. Significantly, a viewer of this site advised me that they had this print and were able to identify who the sitters were from the crayon version, as previously they were unknown to them. Originally the engraving was noted on the site as being done by a J Comson, the reader correctly pointed out that it should be J Thomson, as the information was from Lotherton Hall I thought to check the engraver using Google to my surprise not only did I confirm the engraver as J Thomson, but I discovered a further copy of the same engraving for sale! 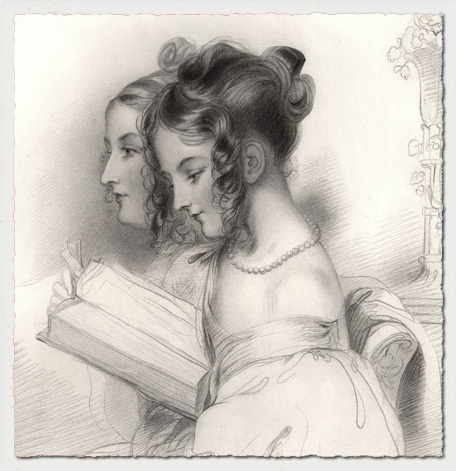 The reader also kindly provided a link to information of the artist John Hayter Notable figures such as the Duke of Wellington and the celebrated opera singer, Guidetta Pasta, were drawn by Hayter which provides an insight into the stature of the two sisters in Victorian society. The above picture is a taken from a crayon effect, drawn J Hayter and engraved by J Thomson, titled "The Peris of the North" held in a private collection. Displayed courtesy of the Board of the National Library of Ireland. A recent discovery has yielded a picture of the younger Gascoigne sister Elizabeth. 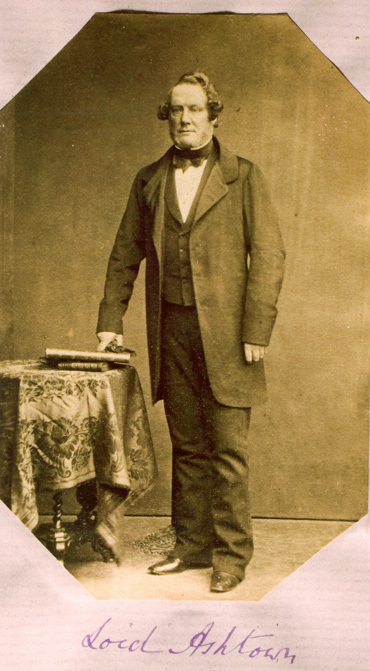 The photo is from a collection purchased by the National Library in Dublin at auction in April 2005. 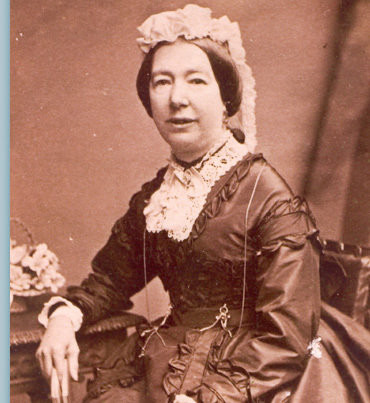 There is also a picture of her husband Lord Ashtown, which will be added soon now added below. Sadly despite evidence of extensive photographic work, including reference to many photographs in the effects left by Colonel F.C. Trench Gascoigne following his death in 1905. No photographs have been found (as far as the author is aware) which can be acredited to the sisters. Update: The sisters may be responsible for the stereo photographs, which are featured in the artifacts section. The sisters other known passion was stained and leaded glass, and in contrast to the photographic record, pieces of their work on the Almshouses and local churches still exist. My investigations fall short of being able to testify to the extent to which they were engaged in this work, directly or whether it was constructed to their designs is unknown. Some stained glass has been discovered in the excavations it is detailed in the artifacts section. It is certainly an unusual hobby and if undertaken by the sisters would require a variety of skills not normally associated with genteel ladies in the Victorian period. One of the many benevolent works undertaken by Isabella and Elizabeth were the Almshouses on the old Great North Road (A1). Today this building is dedicated to high-tech computing and its small lodge is the home of an architectural practice. Originally it was home to just eight people, four women and four men. 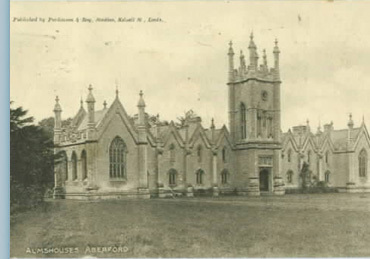 The building, constructed in a Neo-Gothic style in 1844, was built in memory to Richard Oliver Gascoigne and the two brothers of the sisters, who died young, in the year before their father in 1842.